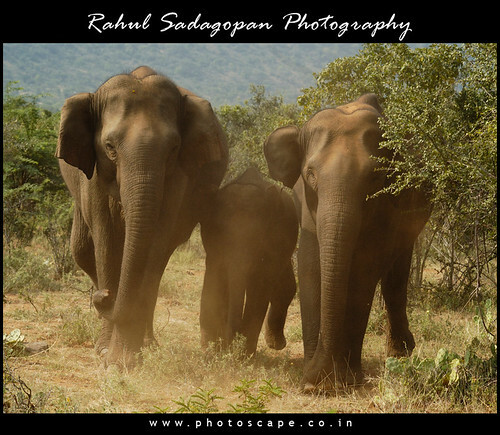 While jeeping thru the jungles of Sathyamangalam Forest Division in the stretch from Gulithuraipatti towards Mangalapatti, there was this elephant herd crossed the road before us and they were heading deeper into the jungle. Just when we were about to start stalking the herd we realised that we had actually intercepted the herd’s crossing and there were still 3 elephants that had not crossed and were waiting to cross. There was one adult female, one female sub-adult and a calf stuck on the opposite of the road wanting to join the rest of the herd. This got me all excited; instinct told me we were in for a brilliant encounter. 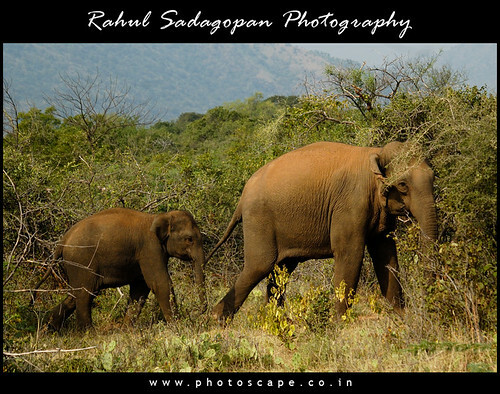 The adult being protective of its calf started trumpeting loudly. 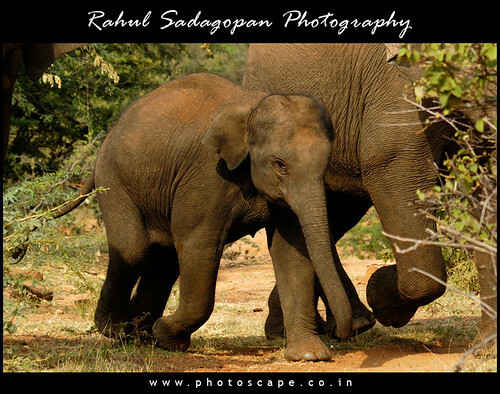 The 2 females tucked the calf between their bodies thus offering maximum safety. The adult then launched a mind-blowing mock charge kicking up a whole lot of dust in an effort to shoo us away. It was a terrifying display of ground stomping, ear flapping and frantic screaming. After about 3 mock charges and a dozen or more deafening trumpets we decided to leave. As soon as we drove a bit forward the adult quickly crossed the road with the calf right behind her. Our team consisted of elephant researchers and experts who have been studying and working with elephants for decades, they knew what they were doing. 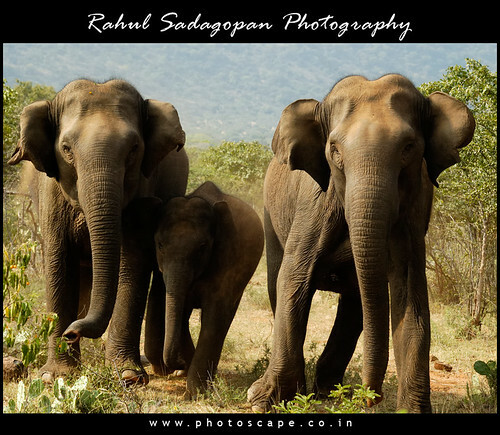 It is not recommended for others to go anywhere near wild elephants. Please note that absolutely no harm or irritation was caused to any human or animal during this event.